#Disney's Mulan, Brother Bear &Hunchback Giveaway! I'm a huge Disney fan. I think most of us out there are. I've seen almost nearly every Disney movie and imagine I will always watch them especially how they're bringing out old classics and putting them all on blu-ray one by one. 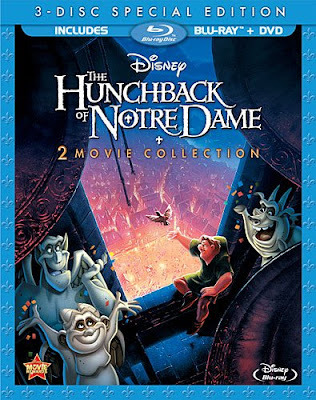 I'm excited that Disney's latest is the three 2- movie collections on blu-ray combo pack and one lucky Just Us Girls reader will get a chance to win all three combos! That's a total of six movies!! 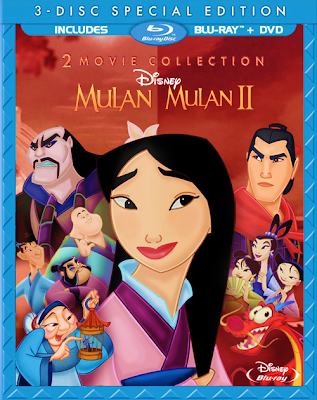 Celebrate the 15th anniversary of Disney’s critically acclaimed masterpiece “Mulan” with this sensational 2-Movie Collection – presented for the first time in Blu-ray High Definition. Mulan’s triumphant tale of honor, courage and family pride shines brighter than ever with new digitally mastered picture and sound! Two warm and wonderful Disney adventures arrive together for the first time ever in a Blu-ray Combo Pack! 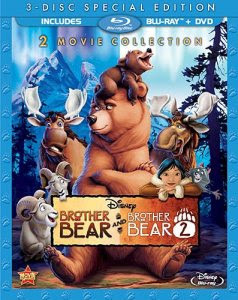 Families can share the heartwarming and hilarious tale of “Brother Bear” — the 2003 Academy Award nominee for Best Animated Feature—and “Brother Bear 2” in one incredible 2-Movie Collection. Bring home an entire forest full of fun, complete with digitally restored high definition picture and sound. So which of the three classics above is your favorite?